1. After our reunion dinner on Chinese New Year Eve, my family and I took a leisure walk around Pavilion Shopping Mall in KL. 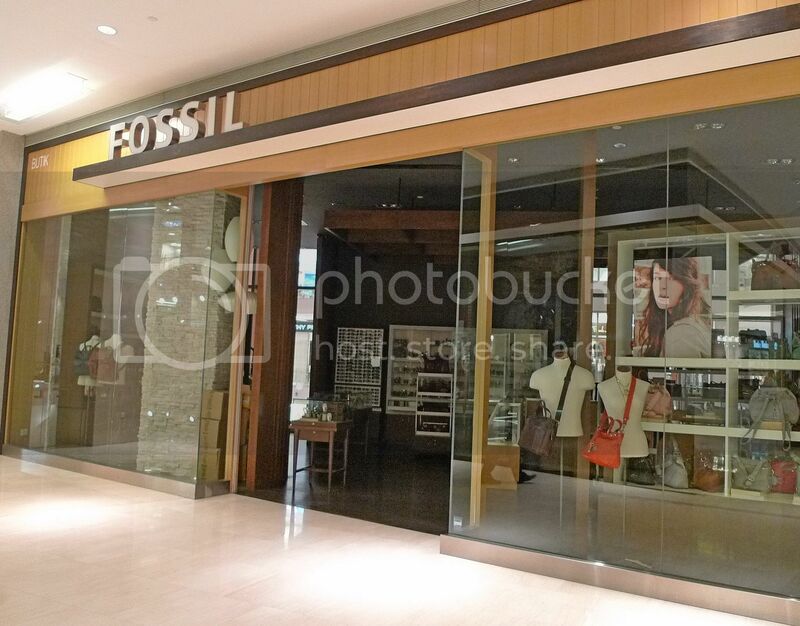 A lot of shops were already closed so we were surprised to see this Fossil outlet left opened with lights turned off and no one inside! 2. 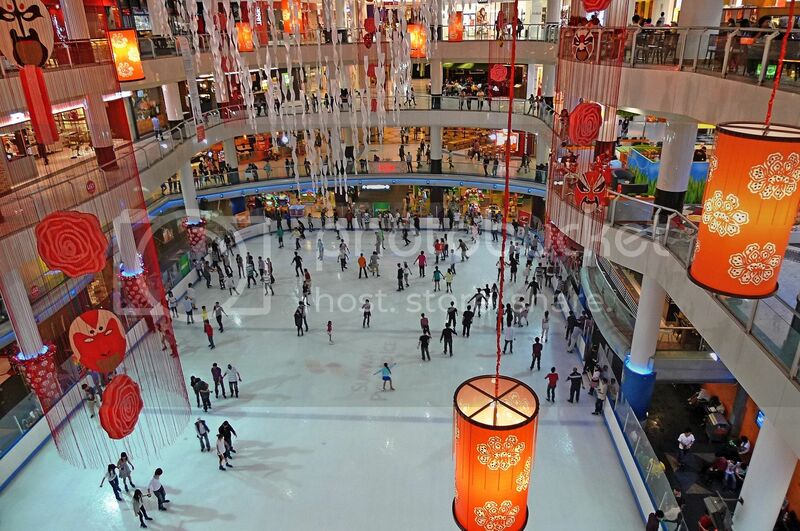 I have finally figured out my way around Sunway Pyramid after all these years, believe it or not! I have always lost my way in Sunway Pyramid as I seldom go there, but last Monday, while everyone resumed work after the Chinese New Year holidays, I took the day off to visit this shopping mall. After walking around and looking at the floor plan, I soon realized it was not as complicated as it seemed. Shall I celebrate my first achievement in this Year of the Rabbit? haha! By the way, I have never tried skating at this ice rink. And now I am simply too shy to even attempt it! 3. Do you like Starbucks or Coffee Bean? I normally prefer Starbucks but since I had a RM25 Coffee Bean voucher with me, I visited the latter the other day in Mid Valley Megamall. 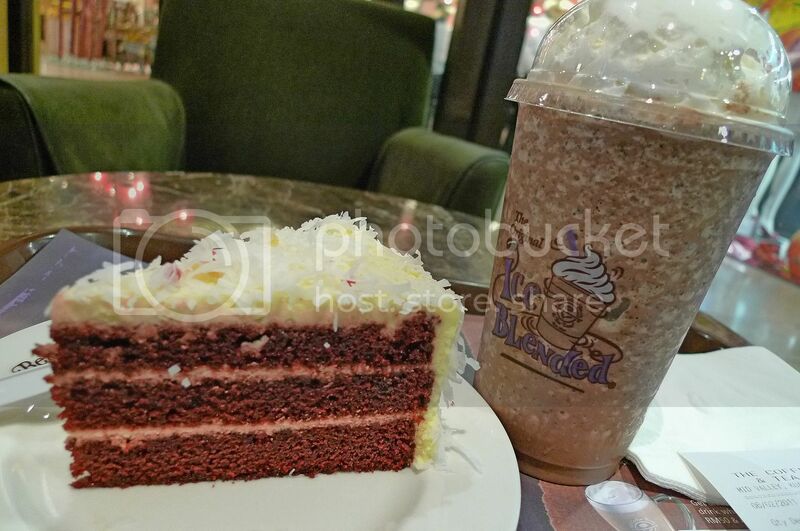 I ordered their most expensive drink, which was the Ultimate Mocha (RM15.30) and also tried their Red Velvet Cake (RM8.90). Not bad! 4. I spent part of my Chinese New Year holidays watching Glee Season 1 and Lady Gaga live concert. I bought these good quality DVDs during my trip in Bangkok last year and it was worth it! 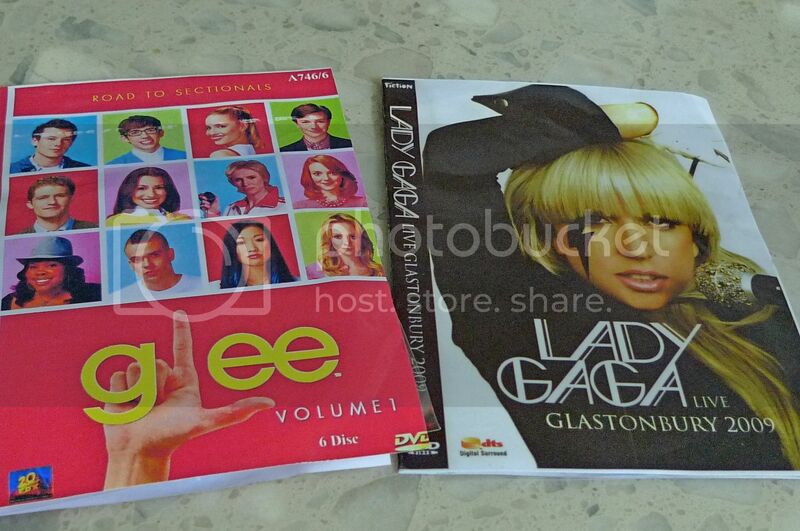 Only about RM40 for Glee (6 DVDs) and RM7 for Lady Gaga! 5. I also watched this cute cartoon called Panda Kopanda simply because I like anything to do with pandas! Haha!! 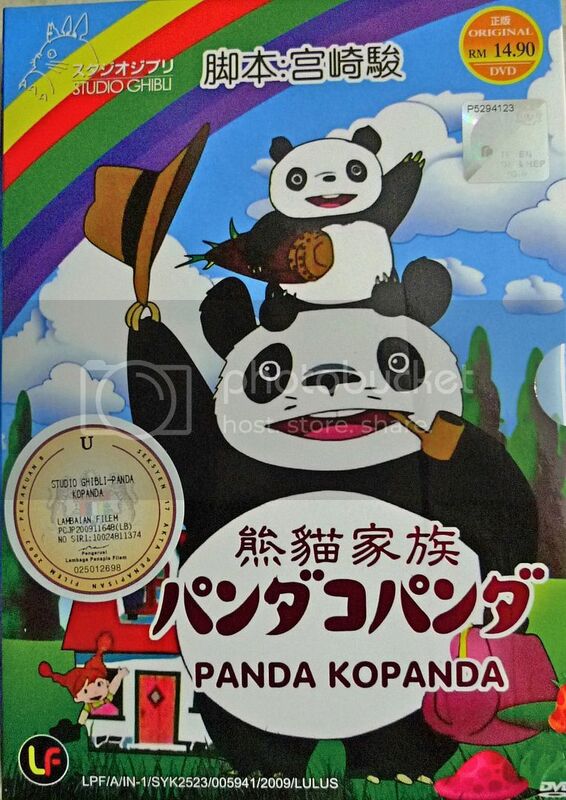 While others watch Doraemon, Pikachu or Ultraman, I prefer to watch Panda Kopanda instead! Haha! 6. 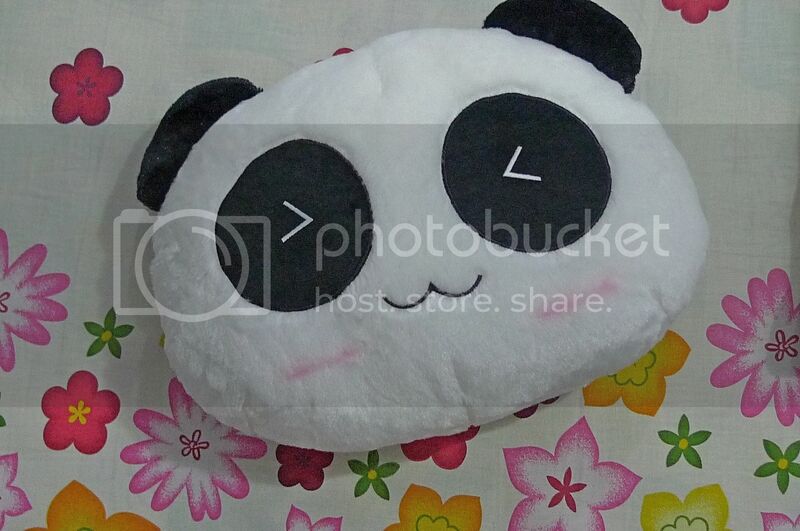 Talking about pandas, I would like to thank Eric Lee for giving me this panda head for my Christmas gift last year! How nice! Now I can always hide behind this panda face when someone takes my photo! LOL! 7. 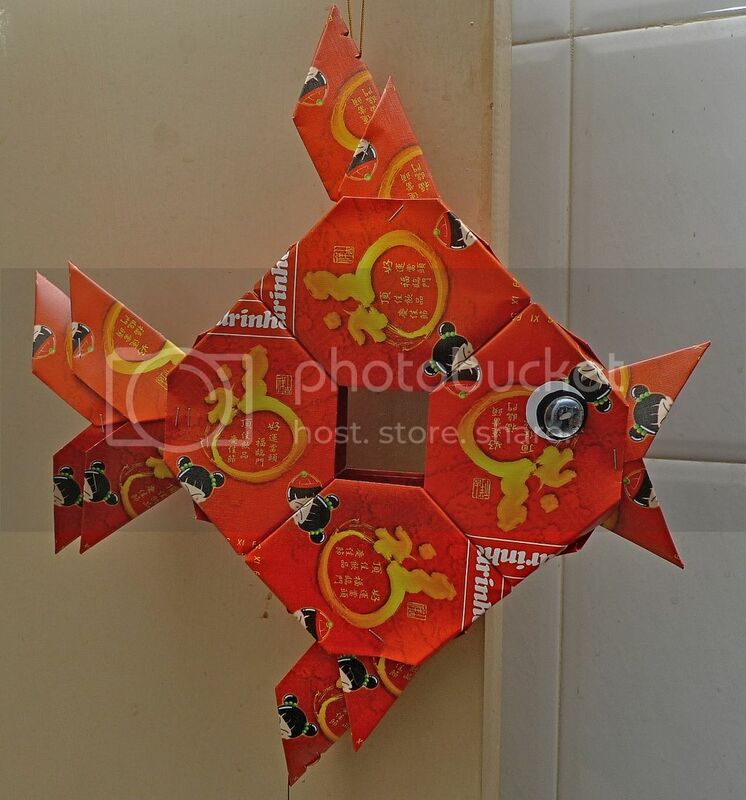 I would also like to thank dear blogger friend, Merryn for making me this beautiful angpow fish for Chinese New Year! Did you notice the hole in the middle is shaped like the ancient Chinese coin? Don't you think it's lovely? 8. After eating all the Chinese New Year food for so many days, I was getting quite sick of them! So imagine how refreshing it was for me when I went to Papparich at The Gardens Mall and ordered these! 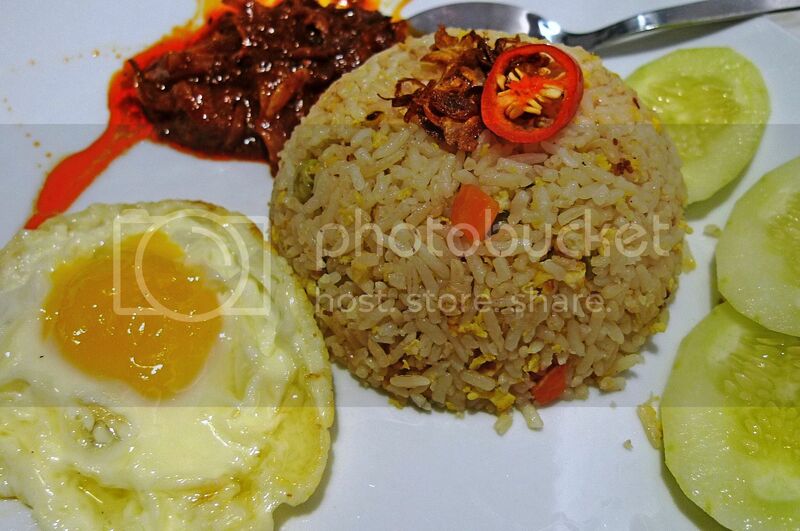 Fried rice - simple and tasty! 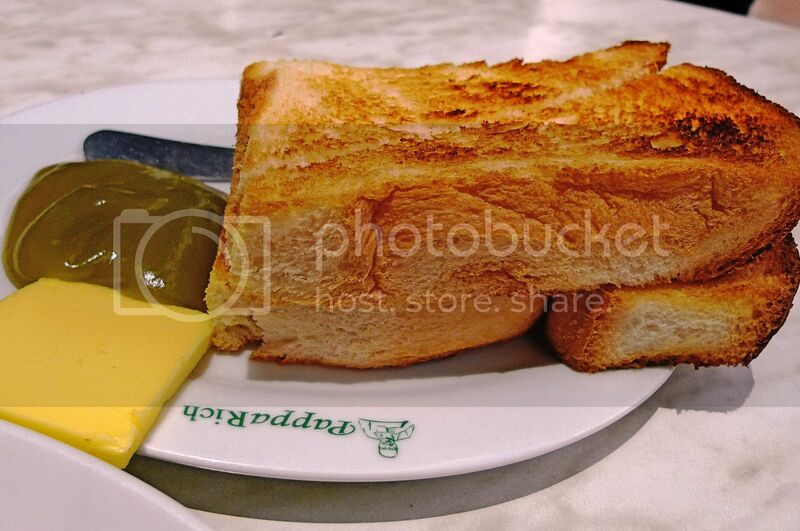 Toasts with butter and kaya - heavenly! 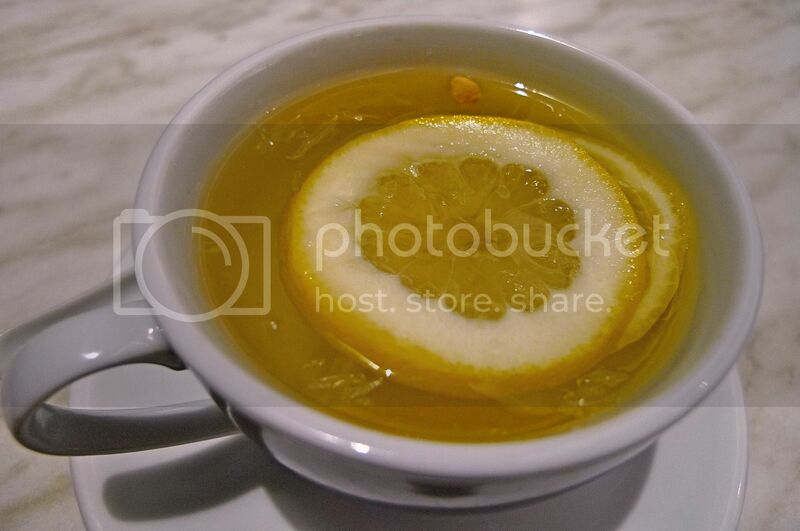 Hot honey lemon tea - soothing! 9. OK, here's a poem I composed for the Chinese New Year and which I sent to some of my friends on the first day of the new year. I have made some little changes to the poem and decided to share it with you all today. Enjoy!! So how's your New Year - is it great or you just don't care? Now let's read this poem specially written by your friendly Panda bear! Or at least lasts all the way from now till December! And go traveling the world all over! Unless you are as rich as Bill Gates or Donald Trump! Then no worries even during the economic slump! Ladies, I just hope you won't end up buying clothes at Ms Read! Or play the piano for my guests like a perverted self-exhibit! All I wanna do is just relax and eat, eat, eat! Here's wishing you all a Happy Chinese New Year of the Metal Rabbit!